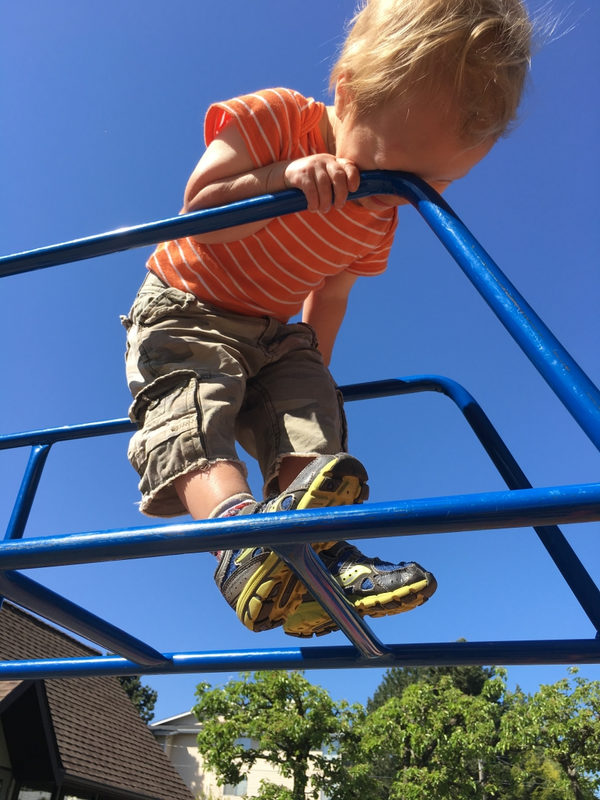 Hanson has been determined to traverse the top of the monkey bars at preschool like big sis does (about five feet high). Today he was unstoppable. Very proud he kept looking around and calling out for attention from kids on the playground to which I coached him to “keep your eye on the blue bars”. He found great humor in following this direction, completely defeating my message.